Thinking about the state of the web, 2018 from technical, societal and ethical perspectives. Achievements, setbacks, seemingly intractavle problems, surprisingly positive developments. What are your most notable web developments, positive and negative? We are doing research on the naming of some JS/WebAPI pages and we need your input! Please share for the broadest possible answers. I will be spending the day working out of @CampusLondon@twitter.com in Shoreditch. 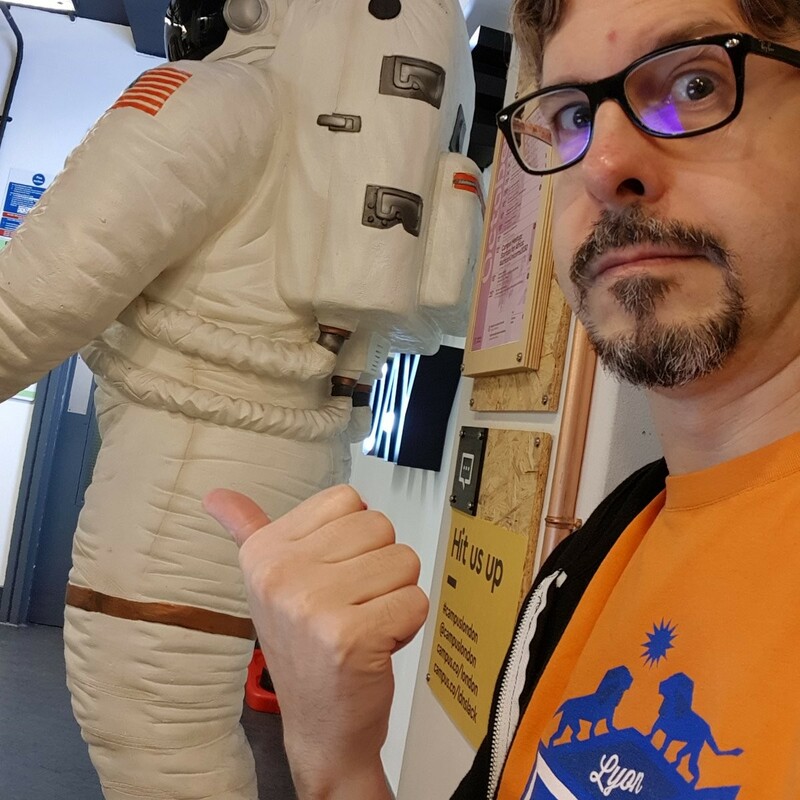 If you want to come chat about @samsunginternet@twitter.com, @w3c@twitter.com web standards, the recently announced intent to merge of @the_jsf@twitter.com and the @nodejs@twitter.com foundations, or anything else, come find me next to the Astronaut. We are looking for a recent graduate to join our developer advocacy team based in London (UK). See details here: https://sec.wd3.myworkdayjobs.com/Samsung_Careers/job/Communications-House-Staines-Upon-Thames-United-Kingdom/Web-Developer-Advocate-GRADUATE_R6882 We actively seek a diverse pool of applicants, including those from historically marginalized groups. Come join us!